One thing I love about Germany is that I DON’T know everything and that there are still surprises. Take this bit of serendipity for example. On October 25th Steven Brown and I were headed east from Eisenach towards Neudietendorf to scout locations for the Plandampf event the next day. Suddenly I spied out of the corner of my eye a Duewag GT6 heading across an open field adjacent to the interstate, what?! 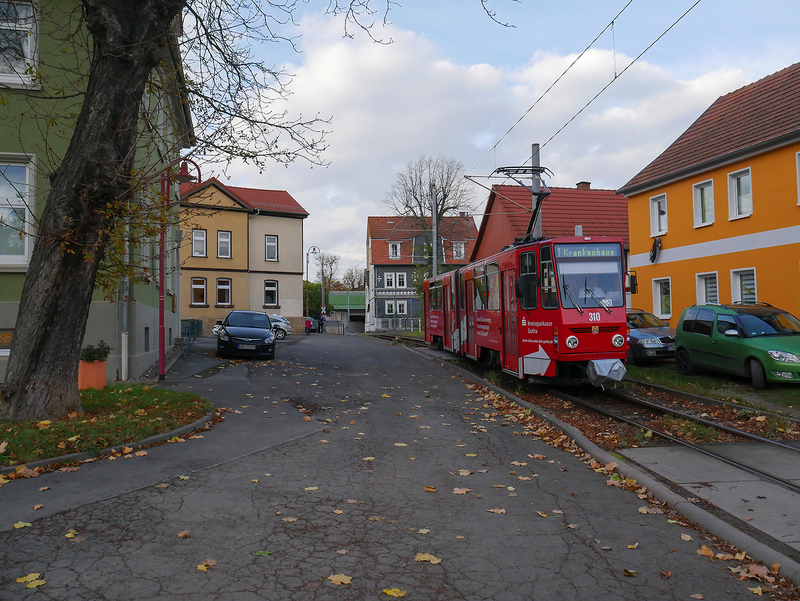 I went into full research panic mode to try to figure out what the hell I had just seen, thanks to having a phone that can access all the worlds information I realized I had seen some part of the Gotha streetcar network, a town which I had no clue even had streetcars. 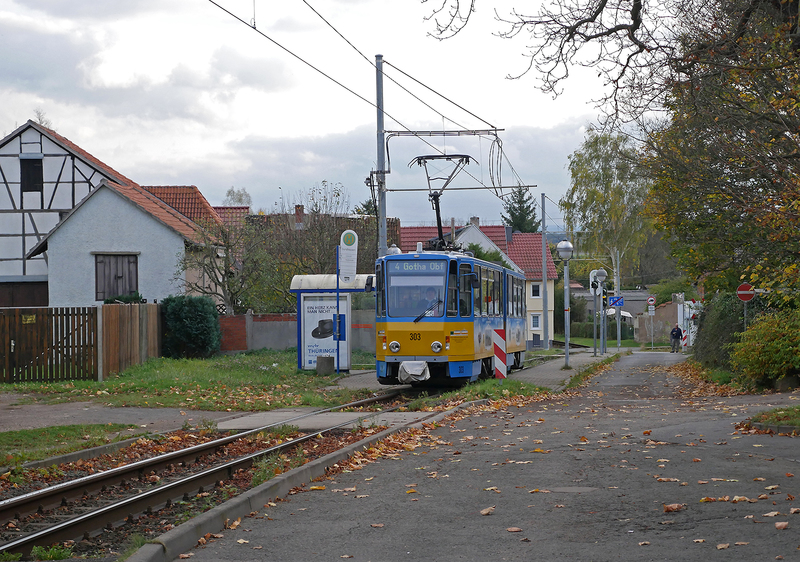 Fate would have it that there was a large traffic jam blocking our way to Neudietendorf so we decided why not go find some streetcars and find an alternate route. I found what looked like a turning loop on the map in the town of Sundhausen south of Gotha. 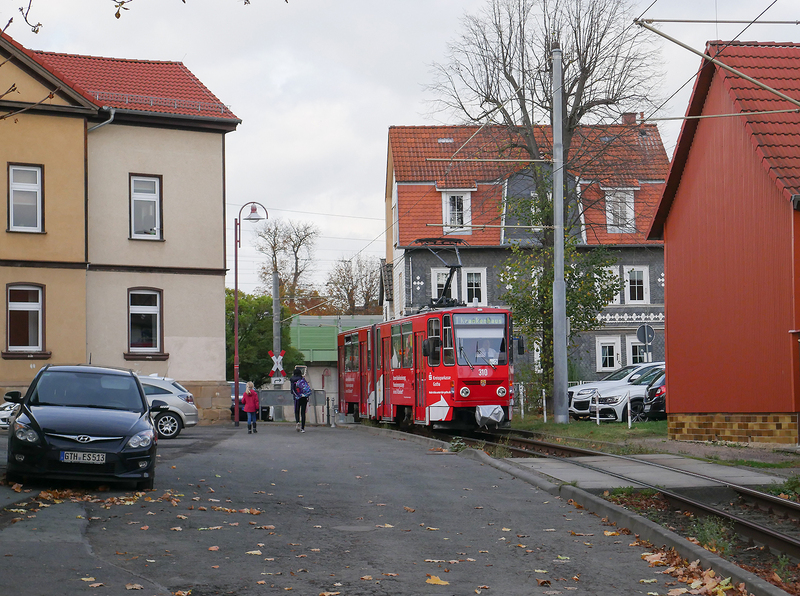 We pulled up and found a small station on a piece of trackage that looked distinctively East German with the single line running on a dedicated track between the road and adjacent houses. A check of the schedule showed one arrival in each direction in just a few minutes, we were in luck. Next Tatra 310 arrives with a Route 1 service which will proceed to the turning loop one stop further at the hospital and then return back. 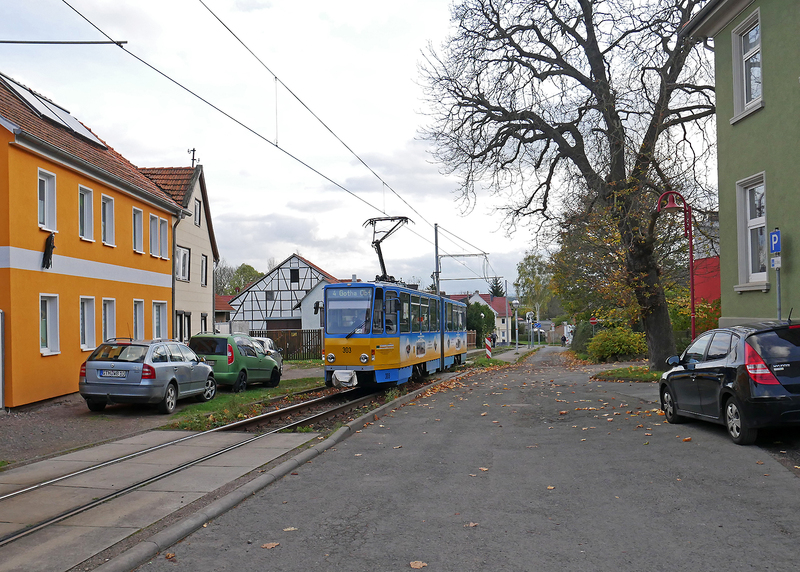 As much as I wanted to stick around we still had some scouting to do so continued south, one day I hope to return to Gotha as it looks like one of the more interesting lines in Germany, totally free of low floor cars and a 21 km long interurban section. Hopefully I can get back before change wipes away this little gem.